Jeremy Smith reports all three Otaki-based councillors voted against a new district gambling policy approved only by the casting vote of mayor Gurunathan, who also lives in Otaki. And the vote on the pokies went through despite the absence of three councillors at Thursday’s meeting. The option councillors chose for the new gambling policy was not the option proposed for discussion on the agenda for the meeting. In October KCDC voted for a new policy. 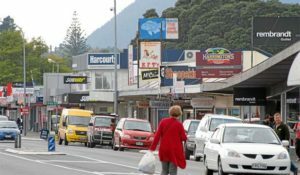 During public consultations in January, they received a strong message from Otaki asking for a restriction on the number of pokies in the town. The council’s own figures show Otaki has 61 machines , well above the 42 cap set back in 2011 when the previous gambling policy was approved. venue, Paekakariki-Raumati has two and Paraparaumu, the ward with the largest population has five venues. When it came to choosing on a new policy the councillors had four options. They ranged from the status quo through to no new pokie machines or new venues at all or no relocations of existing machines from one place to another. The formal option –Option C- before the councillors was to bring in a tougher relocation policy and a lower cap i.e. fewer pokie machines. Instead they deadlocked on a last-minute motion from Cr Mark Benton to change only the relocation policy, on the basis this would still meet the special problems facing Otaki. The Otaki ward councillor James Cootes had previously asked for more time. At that point the mayor used his casting vote the support Benton’s motion. Cootes, and the two Otaki-based councillors Angela Buswell and Jackie Elliott had all voted against. Three councillors- Janet Holborow, John Howson and David Scott were on leave. 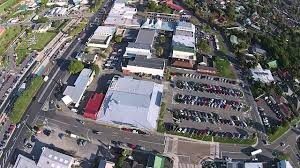 Otaki community board chair Christine Papps said the board members would have preferred a stronger policy, on the bases that fewer pokies would be better for Otaki. Councillor Jackie Elliott said she thought the vote was an abuse of the legislative process. What are they thinking? The evidence is clear: the most deprived communities are targeted in order to fund council activities, sport and other recreational pursuits that dis-proportionally benefit the wealthier in society. “Councils have the authority to determine the numbers of machines in their community so they are in a position of conflict if they then benefit from grants that come from those very machines,” said Ms Froude. Someone should send KCDC an OIA request to determine what grants they received from the gambling addiction of their own community. 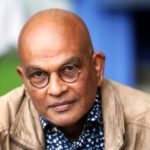 I am surprised and appalled at Mayor Gurunathan’s vote. I assume that he is is either poorly informed or misinformed. Pokies are highly addictive and designed to deliberately prey on those who lose control of their behaviour.The industry relies on those with gambling problems to sustain their profits. 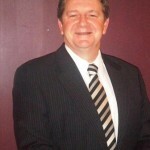 Tom van Bodegraven – Yes I totally agree and so did half the council. That is why I said – We, in Council have considerable power to make positive social change for our community and to let that opportunity go by without doing so is an abuse of the process. Pokies and other forms of gambling cause social mayhem and have a detrimental effect on communities in general. I wonder if counsellors and Kapiti mayor Gurunathan know this and what they think should be done?